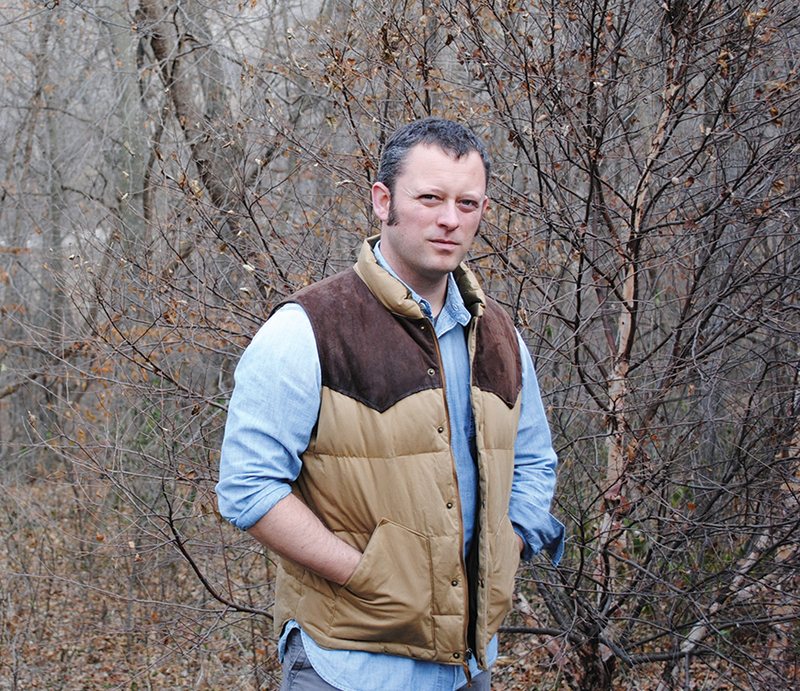 Way back in issue #7, Memorious published a knife-long work of fiction from Ben Percy. In the delightfully grotesque “Revival,” the young narrator and his friend consider what it means to be undead, and what hope there might be for a future with zombies in it. Tinged with horror and the desire for more to come, the story serves as an abstract of Percy’s larger works, of both his two short story collections, The Language of Elk (Carnegie Mellon) and Refresh, Refresh (Graywolf), as well as his novels, The Wilding (Graywolf) and Red Moon (Grand Central/Hachette). 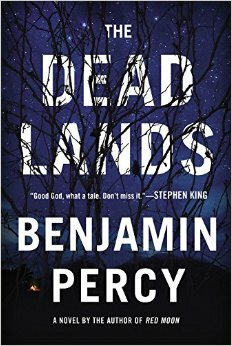 This week, though, Percy releases his third novel and his most anticipated project yet: The Dead Lands (Grand Central/Hachette). The work is a raucously warped and re-imagined vision of the famed Lewis & Clark expedition west, viewed here through the lens of a post-apocalyptic and desiccated United States, one burned by nuclear war, obliterated by disease, and ravaged by nightmares of mutated beasts. But what most plagues this new America is the purulence of men attempting to exert their wills over the last settlements of humanity. Caught in the middle of an extremely busy period in his life―his current projects include developing a crime series based around the North Dakota oil boom for the Starz Network (called Black Gold), writing for the Green Arrow comic franchise, and, of course, prepping for The Dead Lands book tour―Percy was excellent enough to recall the story he published with us eight years ago and the journey he’s been on since. Let’s start off by tracking back to “Revival.” From what you remember, what was the genesis of this story or of similar stories you were writing at the time? I was crushing out a lot of short stories then that blurred the line between literary and genre. Some read almost like fables. Like “The Tree” (published in Ecotone), about a ponderosa pine that falls dangerously in love with a girl, and, after she leaves for college, it pursues her with crows and wasps and spores sent to the wind. Or “Heart of a Bear” (in Orion), which was about a bear that wishes to be human; it was inspired by Frankenstein, the scene during which the creature spends the winter holed up next to a cabin and studies language and behavior through a chink in the logs, and when he finally approaches the family, they are horrified and their rejection embitters and enrages him. There were others—maybe fifteen or twenty altogether. I don’t write short stories much anymore, but I hope to one day cram all of these weirdo hybridized literary-genre fairy tale speculative whatevers into a collection. Where “Revival” is a character study of a boy whose best friend dies violently, it’s darkly tinged with influence from the zombie and horror genres. What would you say are some good examples of short stories from other genres that writers in the literary tradition would do well to study? I don’t really identify boundaries the way some of the stiffs in Literaryland do. What makes someone genre? That they have a plot? Or some speculative strangeness occurring? Shirley Jackson, JG Ballard, Richard Matheson, Ursula K. LeGuin, and Ray Bradbury write sentences so pretty you could hang them on the wall, characters so real I’m thinking about them years later. Getting into The Dead Lands now, you’ve spoken in other places about how you were steeped in the history of the Lewis & Clark Expedition, and how that history informed the structure of the journey in the novel. What’s an example of some more subtle research you did in preparation of writing the novel that your readers wouldn’t know about otherwise? Most of my research concerned the environmental and evolutionary effects of radiation and heat and age, since I’m leaping one hundred fifty years into the future, when nuclear fallout and a super flu have made a husk of the world as we know it. I grew up on Lewis and Clark. Stopping along the trail, visiting Fort Clatsop, reading their journals, watching documentaries. I’m no historian, but because I grew up in Oregon and because my mother is a kind of amateur scholar of the expedition, I have a deep well of knowledge to draw from, and I’ve always known I wanted to write their story, arguably the greatest adventure in American history. In terms of process, then, what did the early iterations of The Dead Lands look like? Did one of the voices in particular seem to drive the narrative more so than the others? What decisions were you making along the way as to which character would get to run the chapter? Road trip stories are problematic. You’d think the drive to get from A to Z would be enough to create a propulsive narrative, but so often the stories become episodic instead of causal. “And then this happened and then this happened” is how they read. (For evidence of this, see The Adventures of Huckleberry Finn, Heart of Darkness, Nebraska, etc.) I made a few decisions, some of them structural, to antidote this. One was varying the point of view, making it swirl among the different perspectives, each with their own competing desires. The other was to switch back and forth between the expedition and the Sanctuary (post-apocalyptic St. Louis, which the citizens believe to be one of the last outposts of humanity). So I had the quest alongside the fishbowl scenario, and I would cut away from each one right when I reached a moment of emotional or physical peril in order to create an addictive, momentum-driven narrative. Lastly, we’re curious about what you’ve read recently that’s most surprised you or that’s just really impressed you. What’s been in your reading stack as of late that you would recommend? I’m writing the Green Arrow series for DC—the primer issue drops in May, the first full issue in June—so I’ve been binging on comics. The Sandman, Saga of the Swamp Thing, The Massive, The Long Halloween, Batgirl, Southern Bastards, Wytches, Hellblazer, The Longbow Hunters—God, it’s been so much fun. Pure pleasure mixed up with analytical study of how all these rock stars are pacing their stories, arranging their panels, balancing exterior action with narration and interiority. For original fiction, poetry, and art song, please visit our magazine at www.memorious.org.